It’s always a wonderful experience having Marc Noelanders return to Wigert’s Bonsai to teach workshops to our students! Erik and I met Marc at Brussels Bonsai Rendouvous 2011 show. We really enjoyed his work and thought he had incredible talent! We knew immediately we wanted him to be a artist for one of our events. Throughout the years of course we run into him at many bonsai event throughout the world. He was here in 2015 teaching workshops for one of our Open House Events. Our students really enjoyed working with him, and we knew we would invite him to teach again. The last time we saw him was in Saitama, Japan for the 8th Annual World Bonsai Convention, just this Spring! This Novembers participating students had the opportunity to work with one of the TOP bonsai artist/ bonsai instructors in the WORLD! Marc is President of the European Bonsai Association, a Published Author (who’s book can be found here) and the Noelanders Trophy is named after him, which is awarded only to top Bonsai Specimen in the World (See 2017 Winners here)!! The annual Noelanders Trophy is the Best Show in Europe, no questions asked! It is held in Belgium every year and is Europe’s largest and most respected bonsai show. The show has 90+ vendors selling bonsai trees, the most amazing bonsai pots, 100+ of the top bonsai trees in the world on display and they have recently started displaying Suiseki stones! Visitors and exhibitors come from all over Europe and the WORLD to attend the show (one that is definitely on our “Bucket List”)! This last year, over 4,ooo bonsai enthusiasts attended the event! 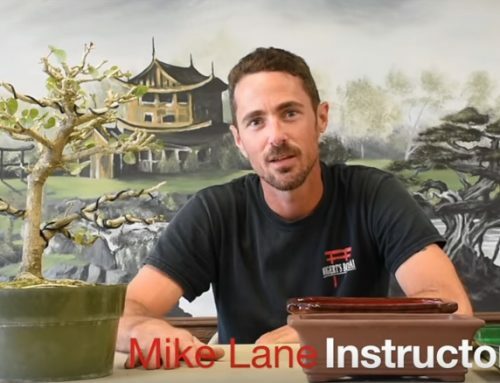 Marc calls Belgium home, but more often than not, you will find him teaching the “Art of Bonsai” ALL OVER THE WORLD! From Europe to Asia to America, and everywhere in between, it is a privilege to have him here at Wigert’s Bonsai!